(Bloomberg) -- Four U.S. Supreme Court justices will attend President Donald Trump's State of the Union address Tuesday night, marking the second straight year a majority of the justices are opting out. Chief Justice John Roberts and Justice Elena Kagan are planning to join Trump's two appointees, Justices Neil Gorsuch and Brett Kavanaugh, according to Supreme Court spokeswoman Kathy Arberg. Justice Ruth Bader Ginsburg won't be attending. She attended a concert Monday night, appearing at a public event for the first time since she had cancer surgery in December. 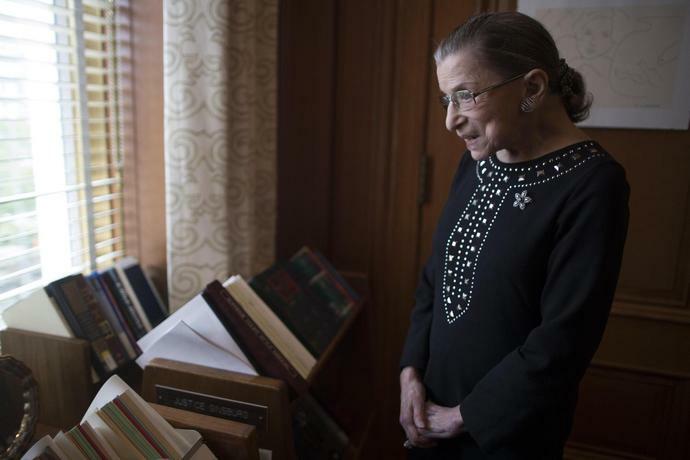 Ginsburg, 85, last attended a State of the Union in 2016, when Barack Obama was president. Several justices in recent years have expressed discomfort with the political nature of the event. Justices Clarence Thomas and Samuel Alito have not attended in years, and Roberts likened the annual event to a "political pep rally" in 2010. Justice Stephen Breyer normally attends, but the court said he is out of the country.